Austin Maestro Repairs, Vauxhall Insignia Cam Belt, Tipper Headboard, Nissan 200SX Rollcage & Do YOU need new brake pads? 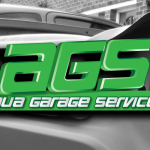 Audi, Citroen, Vauxhall, Ford, Rover, Suzuki, VW, Peugeot and Chrysler repairs. Southsea/Portsmouth based repairs.